I had been to Singapore for my honeymoon back in 2012, and it was definitely, without any doubt, the best trip of my life yet. Of-course there is Merlion, Sentosa Island, Universal Studios, Singapore Flyer etc that I absolutely loved. 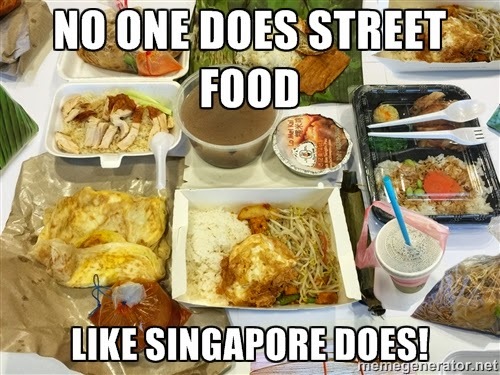 But the street food! 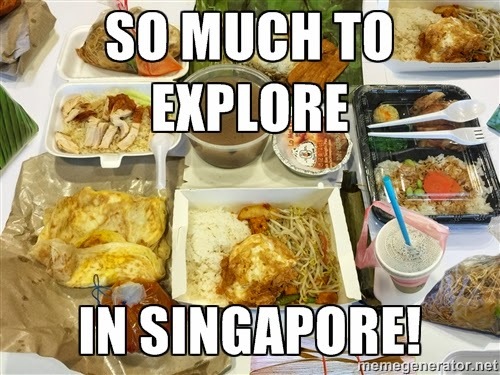 In our travel package we had breakfast and dinner included, so we were on our own for lunch and snacks and loved to explore the streets of China Town, Little India, Orchard Street etc eating amazing stuff. 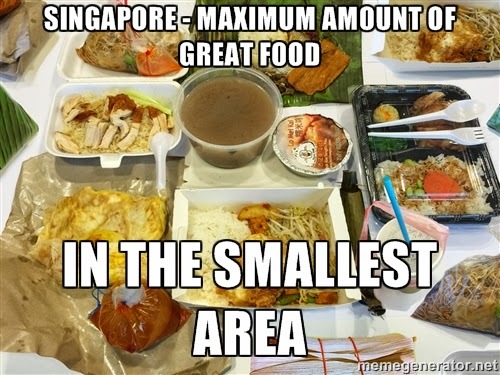 Of-course we checked our restaurants and pubs at Clark Quay etc too. But the take-aways and quantity of street food, and their reasonable pricing, bagged all the awards. I mean, take a look at these memes I made and the food! Honestly, if I had it my way, I would relocate and get settled in Singapore. It has it all. 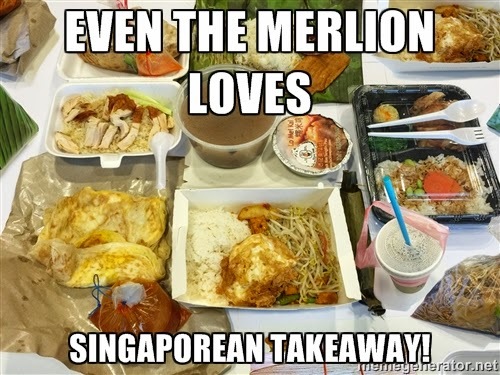 Even their national mascot, the Merlion would agree with me! Yes the coconuts in Little India are really big.